I was a little mixed on the episode too. I mean, it was good... but it's just been so long! I like to read the New York Magazine recaps to help me digest each episode. It's so easy to miss all the subtlety. I do love Don's new pad. It's funny because that style is so popular right now, I kinda felt like it was an ad for Room & Board. FIRST, I would like to say Happy Birthday to 2 of my favorite creatures.... my cousin Anna, new Mom to Abigail, turns 1 year older than me today, so nice of her to do that every year... and ATTY turns 8 today! Can you believe it? 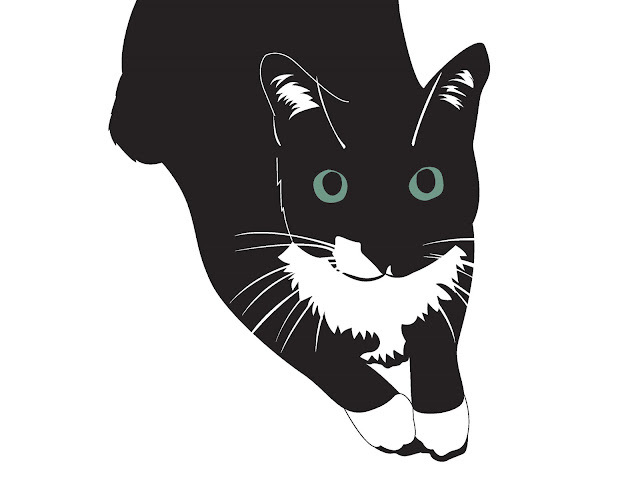 Obviously I have a graphic portrait of my cat. You can too! Click here. SECOND: I finished a terrific book for Book Club #1 last night and I think you would really enjoy it. 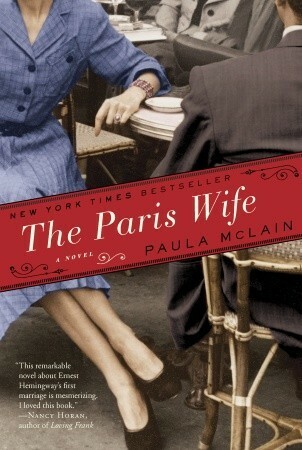 The Paris Wife by Paula McLain is a fictionalized portrayal of Hadley Richardson and her complicated marriage to Ernest Hemingway. She was his first wife, of four. Now, I'm no Hemingway fan (I read A Farewell to Arms in high school and hated it, but 15 years later, I should probably go back and read some of his work, maybe I'll like it now), but you don't need to be a devoted Ernest fan to enjoy this book. I thought this story of their life together in Paris was beautifully told and from the little research I've done, is said to be pretty accurate. Can't beat a story about the roaring 20s in Paris with the likes of Gertrude Stein, Scott and Zelda Fitzgerald and Ezra Pound. This era is a bit of a dead spot in my knowledge of history, so it was fun to read about what was really goin' down in Paris in the early 20s, and it certainly involved a lot of booze. 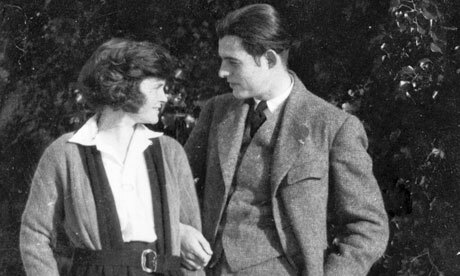 Hadley and Ernest Hemingway in Chamby, Switzerland, 1922. Photograph: Ernest Hemingway Photograph Collection, John F. Kennedy Presidential Library and Museum, Boston. Now I want to read A Moveable Feast, Hemingway's own memoir of this time. But next up on my list for Book Club #2 (this one has boys): The Technologists. Let me know if you (or any of our readers) decide to read The Paris Wife, I'd love to know what you think! PS.... I see you're reading Diane Keaton's new book. What do you think so far? I thought it was pretty revealing. I tried to return to Hemingway a couple years ago, and still didn't like him. Too much of a racist and a woman-hater for me. Morgan, good to know. That's my fear. I agree - there's really only so much machismo I can take!